Only a handful of facialists ever become household names, and one of them is Kate Somerville. You probably already know about her celebrity clientele. Jessica Alba, Olivia Wilde, Kate Hudson, Kirsten Dunst, Eva Mendes and Demi Moore are just a few of the many leading ladies who entrust the Los Angeles-based esthetician with the care of their complexions. But you don&apos;t have to be on the A-list to get the Kate Somerville treatment. 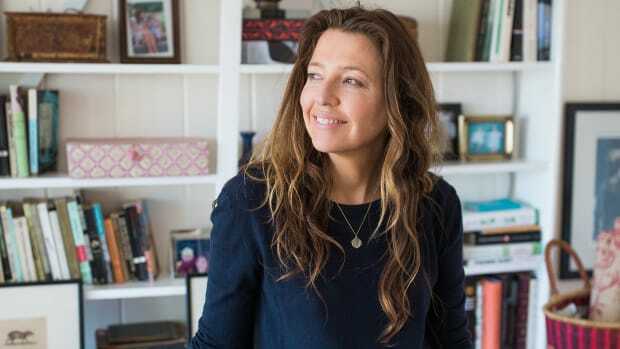 She has also built a multi-million dollar skincare business, based on the same ingredients and techniques she uses at her famous medi-clinic on Melrose Place. If you live in the US, you&apos;ve no doubt seen the products at Nordstrom, Sephora or Neiman Marcus. And now, they&apos;re available at Sephora stores across Canada—which is why I recently got the chance to meet the skincare guru herself! In town for a press event in Toronto, Kate gave the inside scoop on how she got started, and her secrets to red carpet-ready skin. How did you become an esthetician? I started, gosh, I was 20 years old. I&apos;m 46 now, so 26 years ago. I was in school, and I decided I wanted a career that was more professional than what I was doing. I was basically waitressing at three jobs, going to college, and I lived in a really small town in the middle of California. It&apos;s called San Luis Obispo. It&apos;s stunningly beautiful, but it&apos;s small. You definitely had to figure out how to make a living there. I had a friend who was a dermatologist, and she was like, "You know, Kate, you should start a business in skincare, in a doctor&apos;s office." I&apos;ve always loved beauty, and I&apos;ve always loved that medical aspect of things. And personally, I had eczema as a kid, and still do. It comes and goes, and it&apos;s such a frustrating disease. I was an athlete in high school and college, and I&apos;d always have these patches that were uncomfortable and embarrassing. Growing up, my best friend also had cystic acne. We kind of always battled these skin issues, so I really understood what it&apos;s like to feel uncomfortable in your own skin. I thought, this would be a good place for me to go. Did you do any formal training in skincare? I went to esthetics school and I got my license. Unfortunately, I realized I didn&apos;t learn a lot other than how to not get bacteria on people. So I threw myself into learning as much as I could through seminars. Then, I put together a business plan, because I&apos;ve always been an entrepreneur. I went around to all the doctors in town, and I ended up landing with a dermatologist and a plastic surgeon in town. I got really lucky, because these guys took me under their wing. I rented space from them, and I got to go in the OR—I saw face lifts and breast augmentations. The doctors started teaching me how to do deeper peels, and injectables. About three years into my career, lasers came on the scene. That&apos;s when my job became really, really important to these guys. Back then, lasers gave you deep, deep burns. It was almost like these women had third-degree burns on their faces. The healing process was brutal. A lot of them couldn&apos;t use products anymore, they were so sensitive to everything. Kate Somerville performing a skin treatment. That really pushed me to start developing my skincare line. Before, I was using two products from this line, three products from that line. I was mixing and matching. I realized how much those products were my tools. How did you first go about developing your products? I got really lucky. I went to a dermatology convention, and I ran into a guy who does a lot of compounding, a pharmacist. I started asking him, "Can you make me this?" or "Can you put this ingredient with this?" He and I just started working together, and he would formulate things that I&apos;d ask for. Even to this day, that&apos;s still how it works. I recently partnered with Unilever, because we&apos;re going into so many countries around the world, and I felt that they were going to be a great partner to help me do that. We were doing it on our own, and it&apos;s really tough to do. But my chemist had to come with me. They now know how brilliant he is. He&apos;s the genius behind a lot of the formulations. How did you start treating so many celebrities? Fast forward, I ended up selling my business to the doctors in San Luis, because I had built a really great practice there, and then moved to Los Angeles, where I met my husband. I ended up working for a really prominent plastic surgeon in Los Angeles. That&apos;s where I got a lot of the celebrity ties. He pretty much worked on everybody. People from all over the world would fly in to have surgery by him. And I ended up running his practice. Well, a couple years went by and he actually had some press issues. I don&apos;t know if you remember when Elizabeth Taylor was in the press with all the plastic surgery? What happened was, people wouldn&apos;t come into the office for skincare because the paparazzi were basically sitting outside. So I decided I would go see them at their homes. I did that for a minute, and then I found my little place on Melrose Place. That&apos;s when everything changed. How would you describe your clinic in LA? I opened three tiny little rooms on this really beautiful street. LA is such a big, crazy place, but this street actually feels like a small town. It feels like a small town in Europe somewhere. It was so neat, because at the time, the street was really quaint and quiet. There were just all these cool antique stores. It was almost like it had cobblestone still on the road. I started with these three rooms and quickly, I think because of my clientele coming, it just grew like fire. 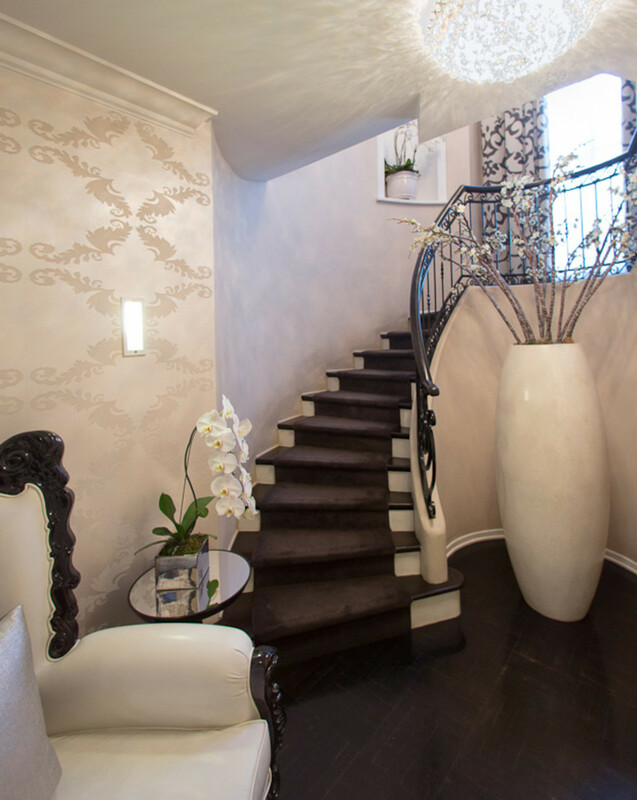 The reception area of Kate Somerville&apos;s Melrose Place skin clinic. What was different about it compared to other skin clinics? I think it was because we were one of the first clinics to combine the medical aspect of things. We did a lot of products and facials, but we really married them with lasers. I was lucky, because what happened in the laser community was they weren&apos;t invasive anymore. They figured out a way to make lasers really effective without downtime. I also got really lucky that there was this word of mouth. A lot of the makeup artists in the community who do celebrities started sending people to me, because I would get their skin better, so their makeup would be better. And that&apos;s really how the masses in the US got to know us, because I work on so many celebrities, and they started talking to the press. When you come to the clinic, you first see an esthetician and you do a consultation. Then she does her prep—so she cleanses, steams and does extractions if you need them. Then a nurse typically comes in, and will do a light treatment or a laser treatment. The esthetician comes back in, and follows up with the client. We give you kind of a roadmap of where you need to go for your skin. We talk about diet, we talk about supplementation, we talk about topical skincare, and then we talk about treatments. We really focus on the skin at all levels. It&apos;s really comprehensive. You still can go in and just have a facial, too, but I have to say, most of my clients where their face is their job, they have to take it seriously. 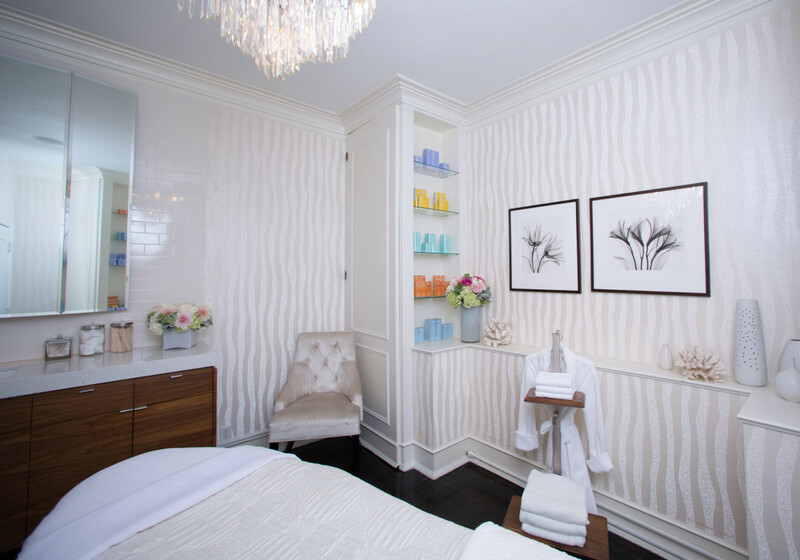 A treatment room at Kate Somerville&apos;s skin clinic. How did you launch your product line outside the clinic? In 2006, what started to happen was all the retailers were calling me. So Barneys called, Bloomie&apos;s called, Nordstrom called and Sephora called. They were like, "We want to carry your line." At that time, I was mixing right on the spot for a lot of my clients, but I had about seven products that were my staples that I&apos;d already set up. I was like, "Okay, you have to wait because I&apos;m not ready yet, but I will do something with you guys." I launched with QVC, which is a big shopping network in the US. I was the first brand to ever sell on QVC and also go into Neiman Marcus. We were cutting through some big retail no-nos, so I&apos;m really proud of that. The industry kind of turned on its ear, and now it&apos;s totally different. We&apos;ve broken a lot of rules and kind of paved the way for multi-marketing, which is great. I wanted to go on QVC because I&apos;m someone who just wants to heal people. Even though I treat celebrities, we treat 14-year-olds. We treat 80-year-olds. For me, there&apos;s no prestige or not prestige. It&apos;s like, if you have skin, I want to heal you. So I wanted to go on QVC because I wanted to explain the products, and I wanted people to know how to use them. How did the QVC audience react to your products? We sold out the first time I went on QVC. It&apos;s live television, and it was the scariest thing I&apos;ve ever done in my life. We were selling the ExfoliKate, and in four minutes, we sold out. So I knew we were on to something. I&apos;ve been at QVC now for 12 years, which is a feat because that place is really hard. You have to make numbers—like, if you don&apos;t make $10,000 a minute, they don&apos;t bring the product back. To really stay there has been a challenge. Which stores did you go into after QVC? We went into Nordstrom, Neiman Marcus, and then Sephora. We launched I think five years ago in Sephora [in the US]. We are growing so fast there, I can&apos;t even tell you. So I really feel like we had an amazing journey in the US, and now we&apos;re building our foundation here in Canada with Sephora. I&apos;m super-excited about the partnership. Why do you think the products are selling so well? The products work. It&apos;s interesting, because I&apos;m an esthetician. I did not think that I was going to have this big product line, with all the retail and marketing that comes with it. Honestly, I was in a room healing people every day. How was this going to transcend out there? But it is. People are getting behind it because they see that the products work, and they stick with it. That&apos;s really the success of the brand. Also, a lot of the editors in the US have been my friends for years. I get emotional because they really took me under their wing, and helped build this company with me. I don&apos;t have a clinic here in Canada, but that&apos;s where we really nurtured our editors, celebrities, and tastemakers. People who really got it—they&apos;d say, "Oh my God, you have to go to Kate Somerville. It&apos;s going to change your skin." Inside Kate Somerville&apos;s skin clinic. What&apos;s your process for formulating a product? How products are developed in our clinic is really unique compared to any other brand that I&apos;ve seen out there. What happens is I&apos;ll have somebody come in, or some of my girls will say, "You know what? We need a product that does this." And I say, "Okay." So I go to my chemist, and he creates it. After that, we get about three or four submissions, and all of the estheticians try it first. Then we reassess, and a lot of tweaking happens, and we get another round. We try it, and if it&apos;s any good, our whole company gets it. We tweak again, and then our clientele at our clinic gets it—but only a panel of clients that have really been with me a long time. They&apos;re just honest. They&apos;re like, "Hate the smell!" or "Made me break out!" What we get to do in the clinic is actually monitor the product as it&apos;s being used for months and months and months. It may take three renditions, or sometimes, it takes 50 renditions to get it right. Then it goes to third party testing, where we do blind tests, and then it comes to market. How important was it to make your products affordable? It drives me crazy because I have these women who have way too much money and way too much time on their hands. They&apos;ll come in and they&apos;re like, "Oh, I&apos;m using this 14 carat gold cream that cost $1,700." I listen, and then I&apos;m like, "Okay. Now, are you ready to change your skin? Let&apos;s take the $1,700 cream, and we&apos;re going to put it aside for now. I&apos;m going to change your skin with real ingredients and real products." So you&apos;ll never see from Kate Somerville the $1,700 cream that has caviar or whatever. I&apos;ve seen lots of things that aren&apos;t proven to us through what we see in the clinic and what we see in studies. That&apos;s how my medical background, being with these doctors and understanding how to read studies, has helped me. A lot of companies will make their studies so you can&apos;t see the real truth. What&apos;s the most important thing people can do for their skin? There are three things that I think are the most important, that will change your skin or keep your skin looking good. We always talk about the one, two, three: exfoliate, hydrate, and moisturize. Most companies will say cleanse, tone, moisturize. I think Clinique came up with that. But I think exfoliating, hydrating and moisturizing are the real game-changers. I mean, cleansing and toning, that&apos;s not going to change your skin, right? What&apos;s your approach to exfoliation? If you&apos;re not exfoliating twice a week, you&apos;re not exfoliating enough. I mean proper exfoliation—not using a scrub with big granules, or nut scrubs that are sharp. As our skin cells are leaving our bodies, they typically get dry, right? So they die. And you&apos;ve got new skin cells under there. In between each skin cell is a glue. What a scrub is doing is just lifting the dead skin cells up. But you need to dissolve what you just lifted up. That&apos;s why all my clients, they have that glossy, smooth look. It&apos;s because I&apos;ve got them on a proper exfoliator at least twice a week. Typically, we&apos;re doing exfoliating in our treatments as well. What&apos;s different about your exfoliator? ExfoliKate is our number one product, and there&apos;s a reason for that. This is a funny story. When I was in the clinic, mixing things for my clients, I would always cleanse, steam, and then do a scrub, because I wanted to get that top layer roughed up again. Then I would rinse that off, and I&apos;d paint on this amazing mask with papaya, pineapple and pumpkin enzymes to dissolve what I just roughed up. 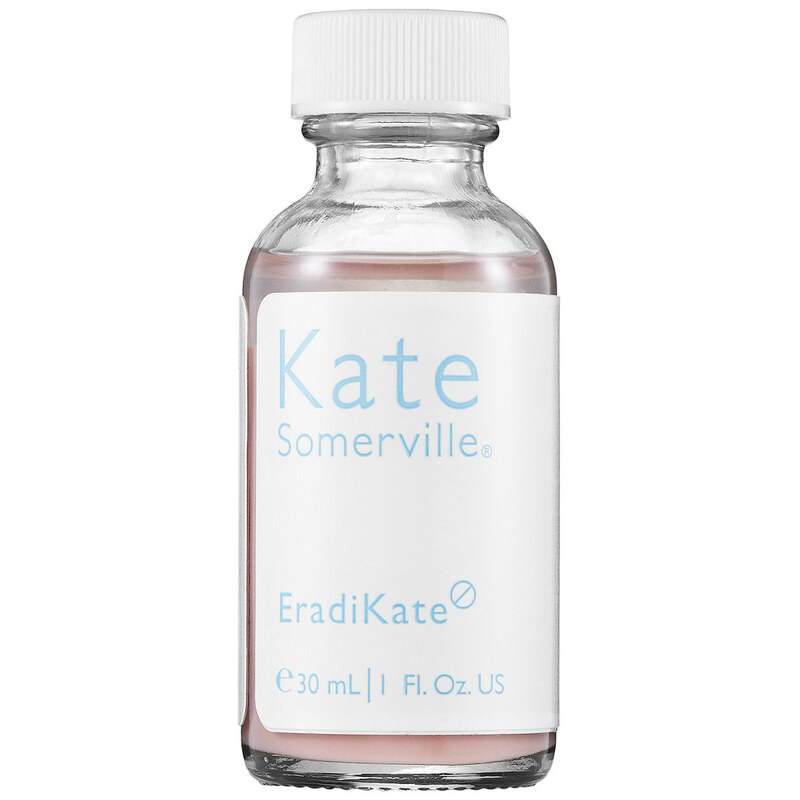 Kate Somerville ExfoliKate Gentle Exfoliator. Enzymes are amazing for skin, because they metabolize the dead skin. It&apos;s not like a glycolic acid, where it goes down and can actually kill live tissue—which works in some instances. Lactic acid is another acid I love, because it also stays on the surface and it just takes that top layer off. One of my clients, a famous gal, was going to be away for four months. She said, "Kate, what can you give me to make my skin look really good while I&apos;m gone?" I basically took my mask and I dumped the beads in there, and I gave it to her. Two weeks later, she&apos;s like, "Oh my God, this is amazing. You have to make this a product. You should call it Kate in a Jar, because it&apos;s like you&apos;re with me." So I named it Kate in a Jar, but we later changed the name to ExfoliKate. ExfoliKate is really the basis for getting a good exfoliation. You&apos;re getting physical and chemical exfoliation. Twice a week, I recommend that. If somebody has really oily, thicker skin with a lot of texture, I&apos;ll have them do it three or four times a week. How do you define hydration and why is that important? The second step, and the most important step you can do is hydration. I was literally before my time with hydration; I&apos;m so glad it caught on. Do you know Cellex-C? It was the first product that came out with vitamin C. So we were using a lot of it at the time, and vitamin C can be really drying. What was happening was all my clients were getting really dry. I asked my chemist what I could do, and he said, "Well, the skin has a lot of something called hyaluronic acid." So I said, "Can you make me some of that?" He said yes. There&apos;s a jelly, kind of viscous feeling to the product, which is Quench. My chemist found the smallest molecule of hyaluronic acid on the planet—that matters, because if the molecule is too big, it lays on the skin. 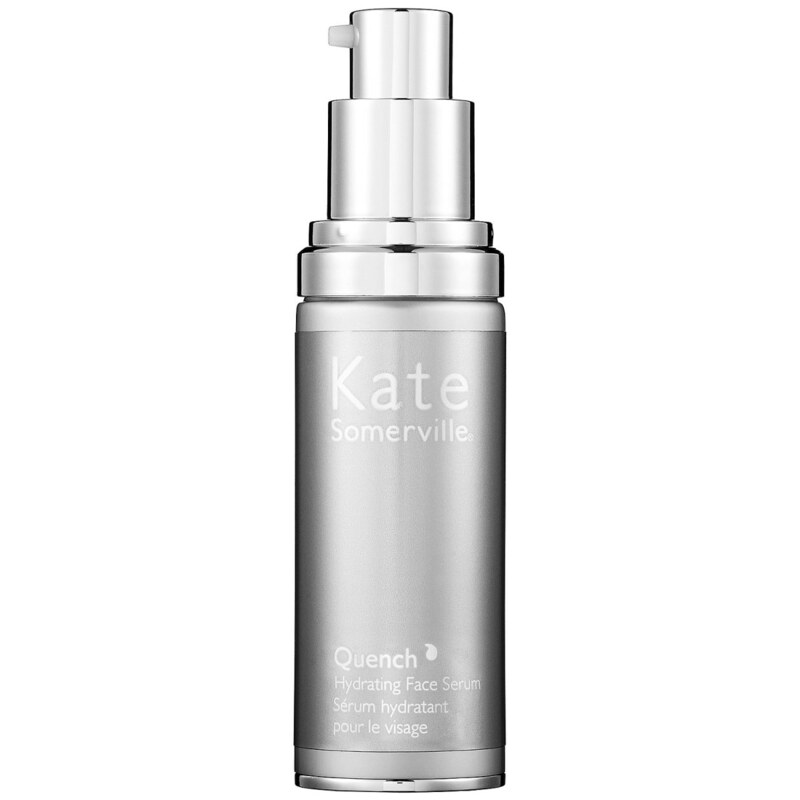 Kate Somerville Quench Hydrating Face Serum. Quench was actually my second biggest seller. It was because I had all my celebrities on it. So using hyaluronic acid to hydrate the skin is the second step. What&apos;s the difference between hydrating and moisturizing? The third step is to really seal in the hydration and protect what you have—protect the new cells. That&apos;s done through a proper moisturizer and obviously, sunscreen. You guys don&apos;t have to worry about it as much as we do in California, but I definitely recommend wearing a sunscreen. So those are three steps. Exfoliation twice or three times a week. Hydration twice a day. And then your moisturizer. What kind of moisturizers do you recommend? Your moisturizer is really for your skin type. If you&apos;re oily, go for an oil-free, because you have enough oils. You don&apos;t need any more; you just need hydration. With your moisturizer, you can deliver vitamins, and you can deliver peptides that help with collagen stimulation. If you have pigment problems, you can deliver other ingredients to brighten. If you&apos;re aging like me, and are really dry, you need more oils, and you need a lot of peptides, and you need retinol. I slather myself in Deep Tissue Repair Cream—it&apos;s called Deep Skin Care Cream in Canada. That&apos;s my favourite moisturizer. 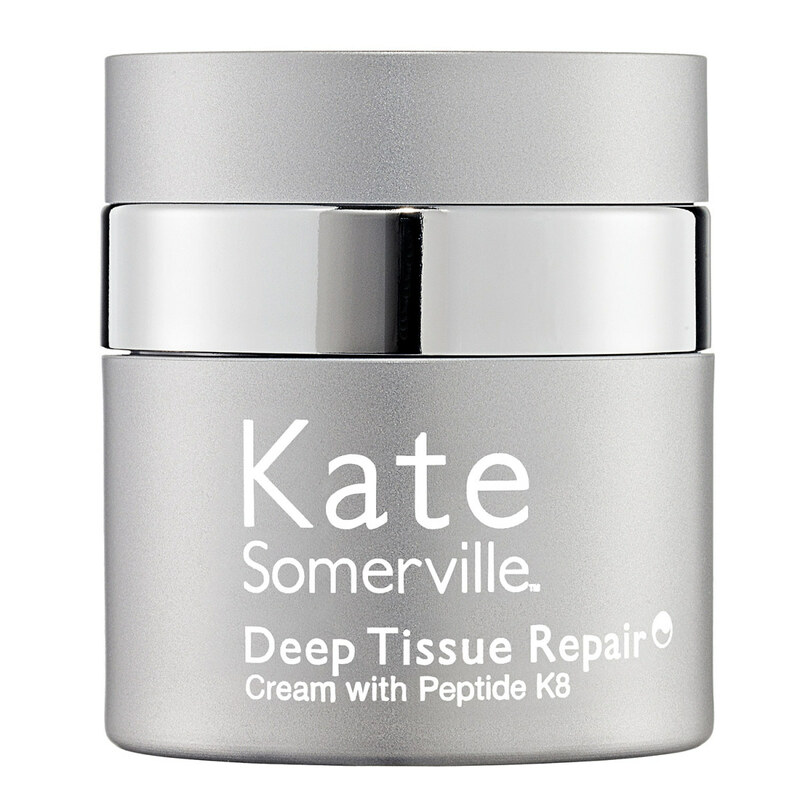 Kate Somerville Deep Tissue Repair Cream with Peptide K8. Which ingredient is the most important in skincare? It depends on your age, but honestly, retinols are the most important. I wouldn&apos;t start somebody on retinol, unless they had acne, until their late 20s. But if you&apos;re going into your 30s, if you&apos;re not covering your skin in retinol, you&apos;re missing the boat. What retinols do is turn over skin cells faster, and they keep the collagen stimulated. I grew up in Fresno, which is really hot. It&apos;s like 110 degrees in the summer. My mom&apos;s best friend was so cute, but so vain. Thank God she was, because she taught me this. She started using Retin-A when she was really young. She would only do it on her face. It&apos;s so crazy, because she&apos;s 80 today, and her skin is so beautiful. She&apos;s never had a face lift. But guess what her neck, arms and chest look like? Like 80, if not more, because she had been in the sun so much. As I was treating people in a medical office, we were prescribing Retin-A to so many of my clients. The first three weeks, you&apos;re like, "I have to stop this." It looks like your face is going to fall off. I had to do a lot of hand-holding. I would have makeup artists call me, saying, "What is going on?" And I&apos;d say, "She has to get through this!" What&apos;s unique about the retinol in your line? I told my chemist, "Listen, I need to deliver retinols to the skin without this crazy redness and dryness." We have three different retinol products. They&apos;re amazing because we put hyaluronic acid—so that hydration step—along with our retinol. But our retinol is really special, because it&apos;s encapsulated in a lipid. So what happens is you get this moisturization and then the retinol goes down and it releases in the lower levels of the skin. You get the cell turnover but without the irritation and the redness. Kate Somerville RetAsphere 2-in-1 Retinol Night Cream. You&apos;re going to feel a tiny bit drier when you use it, but your skin is going to brighten. If you have any elasticity issues, you&apos;re going to see it change. It&apos;s so crazy. Anybody that has wrinkles, if you use it, take a picture of yourself, and about four to six weeks later, take another picture. You&apos;re going to be like, "Whoa, it really did change my skin." Do you recommend retinol for acne as well? My son is 14 and he was going through this crazy hormonal breakout. He plays football, too, so he has that helmet on, and he&apos;s sweating. We have a full acne line, so I put him on everything that I could, but I couldn&apos;t get him clear. I was like, "Oh my God, all the moms at school will be like, &apos;Kate Somerville&apos;s kid...&apos;" So I took him to my dermatologist. He said, "We have to put him on Retin-A." I was like, "What are we going to do? I can&apos;t put him on Retin-A." We live in Santa Barbara, at the beach. We&apos;re in the sun all the time. So I decided to put him on my retinol and see what happens. I put him on RetAsphere and a cleanser, and I make him do the Clarifying Toner after practice. Honest to God, in two weeks he cleared. Like clear, clear, clear. So retinol works. I would say that would be the top ingredient. 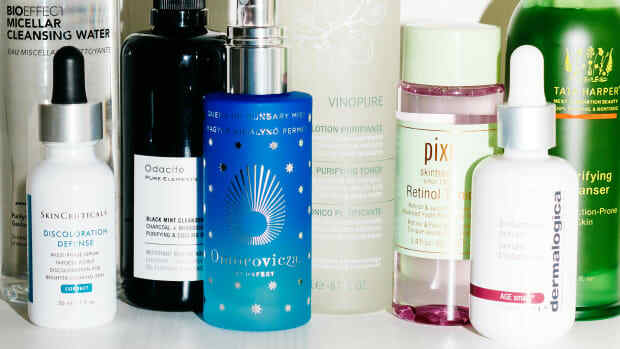 If you know anybody who has breakouts, definitely steer them towards the retinol spray. Anything else you suggest for acne? We have something called EradiKate. We sell more units of it that than anything in the whole line. If you get a big pimple, if you put this on overnight, it just disappears. You don&apos;t shake it, though. The watery stuff is the sulfur, and down at the bottom is the clay. You put your Q-tip down, and you just dot where you need it, and go to bed. We also have a Mask that you can use along with it, and we&apos;re coming out with a cleanser as well. What&apos;s the most popular treatment at your clinic? Years ago, I was at a dermatology meeting, and I always walk by these weird booths. One of them had this machine, like a makeup gun for airbrushing, but the machine had pure oxygen in it. They were using it to actually spray chemotherapy on to the skin, and push it in with the oxygen. I asked, "If you can push chemotherapy into the skin, can I push good stuff into the skin?" He said, "Absolutely." So I took this machine, and I created a serum with hyaluronic acid, Quench. This is our number one treatment at our clinic, prior to the Emmys or Oscars, because it&apos;s instant. Literally, wrinkles disappear right before your eyes, and the skin also lifts, because it&apos;s filled with hydration. It&apos;s so cool. Then I was like, "How do I get this machine to people? I need to figure out how to do this," because I was on QVC. I wanted to replicate that treatment. But it was so complicated. I said, "Can&apos;t we just bottle the oxygen and the hyaluronic acid?" My chemist said, "No, you can&apos;t ship oxygen. It&apos;s flammable. You can&apos;t do it." For five years, we just sat on it. Then my chemist ended up going to another dermatology ingredient meeting. I&apos;ll never forget it, it was 9:30 at night, and he called me. "I found it! I found it!" He said he was at this convention, and there was this oxygen substance called PFC oxygen carriers. They use it for infants whose lungs are not developed yet. He said this is the oxygen that will carry the hyaluronic acid deep into the skin. So the DermalQuench Liquid Lift is now one of our bestsellers. It&apos;s really different; it has a nozzle, and is patented. This product, you have to shake it each time, and then you spray it. You do about three stripes, about a quarter of an inch away from the skin. All this foam is going in, and it&apos;s deeply hydrating. 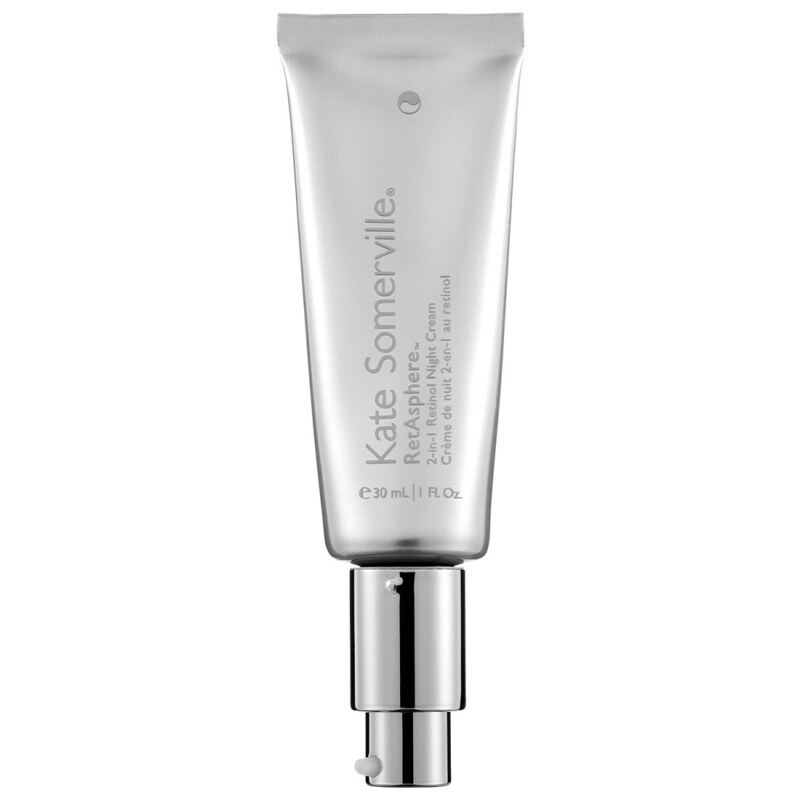 Kate Somerville DermalQuench Liquid Lift Advanced Wrinkle Reducer. You can go right on the eyelid, by the way. There&apos;s nothing in there that&apos;s going to irritate you. What you need to do after, though, is seal it in, because it will evaporate. You need your oils or lipids to seal it in, and that&apos;s your moisturizer. What do you recommend for dry skin conditions and cold weather? This winter, you want to keep your natural skin barrier alive. We have a whole goat&apos;s milk line, and it&apos;s basically based on me having eczema. When I was young, I lived on a farm, and my mom would put real goat&apos;s milk in my bath because my skin was so irritated, flaky and itchy. It actually helped my skin—it would help with redness and dryness. When I did my line, the Goat Milk Moisturizing Cream was one of my first products I ever made available in a jar without me mixing. It&apos;s a really, really simple moisturizer. It has goat&apos;s milk in it, of course. It&apos;s organic, it&apos;s natural, and there&apos;s not a lot of fragrance in it. It&apos;s just to really soothe the skin. It&apos;ll be great for you guys when winter comes. You know when you get chapped and your skin feels tight, dry and irritated? You can literally put this on at night and go to bed, and you&apos;ll wake up so much better. We also came out with a Goat Milk Moisturizing Cleanser. When you first put it in your hand, it almost feels like a Vaseline, but as soon as you put water to it and start to massage around, it actually foams very lightly. It will put hydration back into the skin and it won&apos;t strip your natural oils. It gets all the makeup off, and will keep you really clean, but it won&apos;t strip your skin. 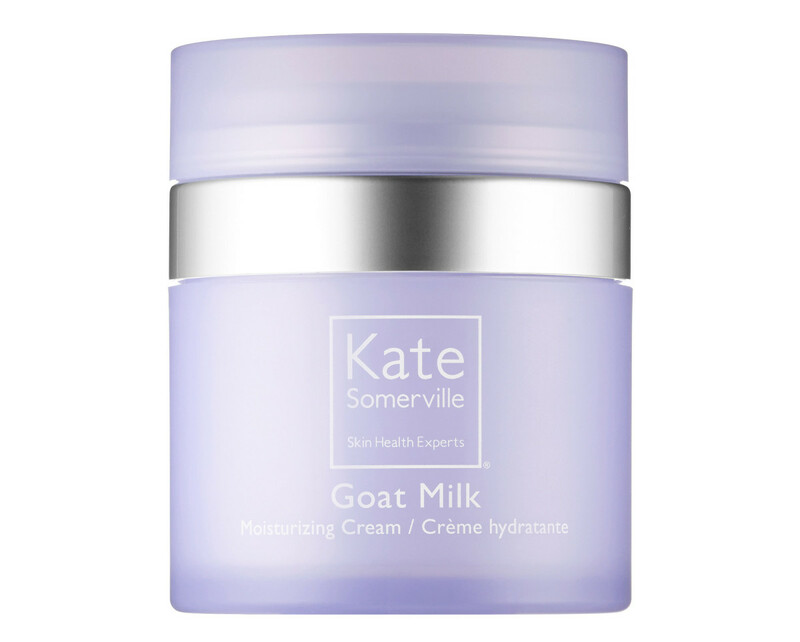 Kate Somerville Goat Milk Moisturizing Cleanser. The Goat Milk Eye Balm is probably our editors&apos; favourite in the US. I wanted to make something you could put in your bag and re-apply throughout the day. It&apos;s kind of like a Chapstick for your eyes. I know that&apos;s weird. It&apos;s all-natural, and also has manuka honey in it. And you can use it as a highlighter, since it has light-diffusing crystals. 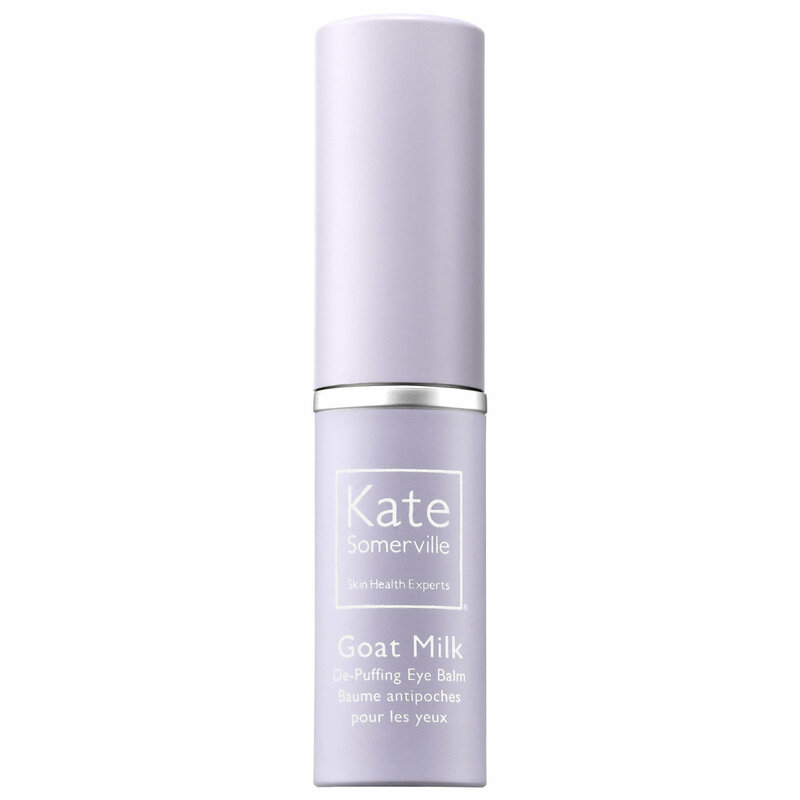 Kate Somerville Goat Milk De-Puffing Eye Balm. What&apos;s the one skincare message you&apos;d like to spread? 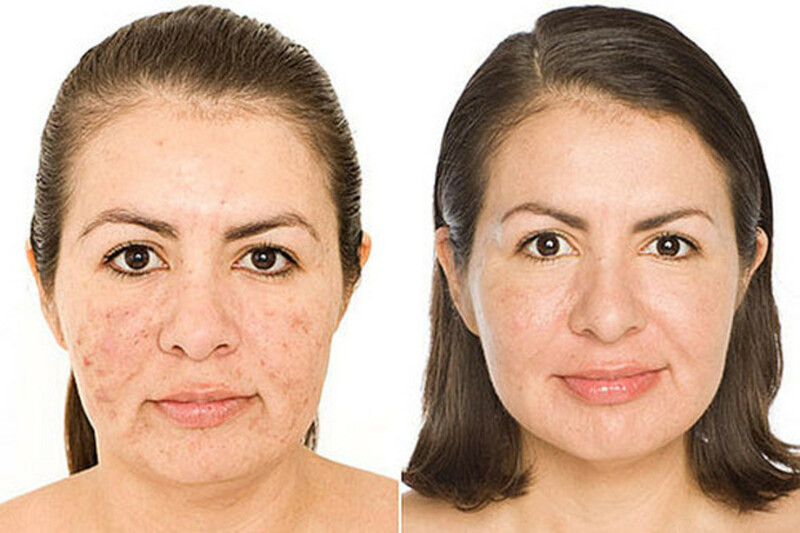 Our message is we want you to have healthy, beautiful skin—and we know how to get you there. My girls and I can literally take someone who has the worst skin condition you&apos;ve ever seen, and transform them. And we can take people who have gorgeous, beautiful skin, and keep them there. We have the tools to do that. That&apos;s really our message. 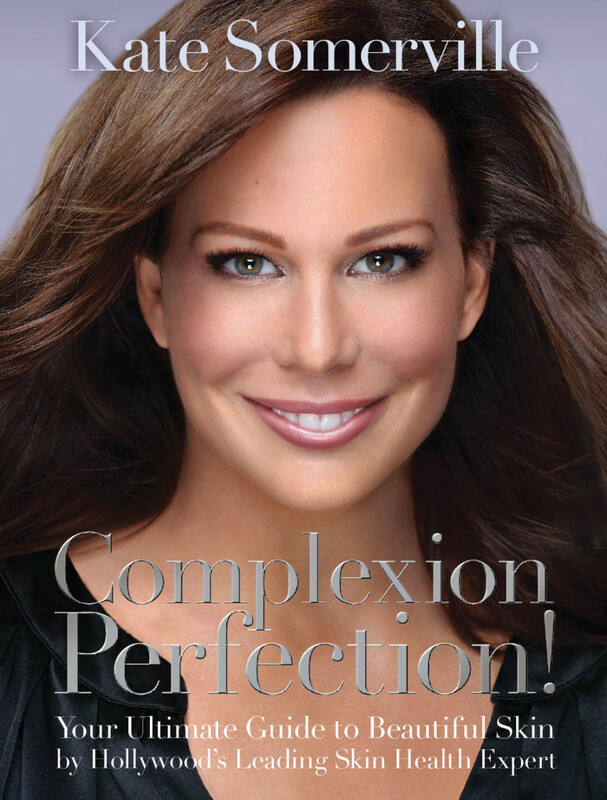 I wrote a book, Complexion Perfection!, and it&apos;s about everything I know and use in my clinic. So there are tons of tips in there. Not a huge amount of things have changed. Kate Somerville&apos;s book, &apos;Complexion Perfection! : Your Ultimate Guide to Beautiful Skin by Hollywood&apos;s Leading Skin Health Expert. Kate Somerville&apos;s client before (left) and after (right). There&apos;s no re-touching, no makeup. Like, this is real. Literally, we get to change people&apos;s lives like this every day. It&apos;s so fun. I want to show people that you can change your skin without surgery or anything like that. And that there is hope! What do you think of Kate&apos;s approach to skincare?